Argument preview: How fully must a court explain a sentencing modification? Next Monday afternoon, the Supreme Court will consider the sentencing modification of a meth dealer, who obtained a sentencing reduction from 135 to 114 months when he was eligible for a reduction to 108 months. The issue is whether the district court must give an explanation at all for its decision and, if so, how full the explanation must be. A brief history of federal criminal sentencing helps to explain Adaucto Chavez-Meza’s case. Before 1984, federal sentences were generally indeterminate, with the judge sentencing within a very wide statutory range. The defendant’s actual release date was determined by the Parole Commission, and she had no grounds for appellate review. 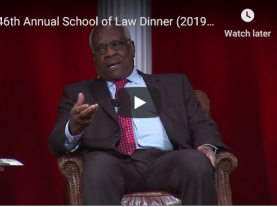 The process was revolutionized in the Sentencing Reform Act of 1984, which abolished parole and created a new system of determinate sentencing based upon offender and offense characteristics as determined by the U.S. 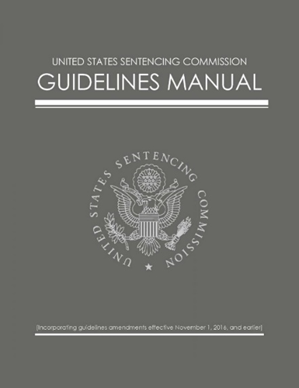 Sentencing Commission and published in the Federal Sentencing Manual. The goals of the act were to eliminate unwarranted sentencing disparity and to provide transparency and notice to defendants and the public. Defendants and the government could successfully challenge on appeal any sentence that deviated from the narrow 25-percent range indicated in the Sentencing Guidelines’ sentencing table. That system lasted until 2005, when the Supreme Court in United States v. Booker declared that mandatory sentencing guidelines violated a defendant’s Sixth Amendment’s right to a jury trial, because the federal judge, rather than a jury, was making all of the factual findings concerning the offender and the offense that triggered higher sentencing ranges. The remedy was to excise 18 U.S.C. § 3553(b)(1), which required the court to sentence within the guideline range, and 18 U.S.C. § 3742(e), which required appellate review of sentences for conformity with the guidelines. Judges now sentence under 18 U.S.C. § 3553(a), which requires them to consider an accurately calculated guidelines sentence but allows them to impose a sentence “in variance” to the guidelines based upon seven wide-ranging factors, in order to reach a sentence that is “sufficient, but not greater than necessary.” The judge must complete a detailed four-page form (AO 245, Statement Of Reasons) ensuring that she comments upon the presentence investigative report written by the probation department, that that she checks off every Section 3553(a) factor, and that she selects among a long laundry list of guideline departures and reasons for a variance. 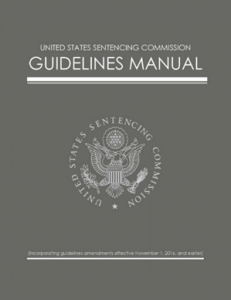 Now that the guidelines are merely an advisory “anchor” and sentences are reversed on appeal under an abuse-of-discretion standard only if they are substantively “unreasonable,” federal district judges are imposing sentences within the federal sentencing guideline range less than half the time, and almost always using their new-found discretion to lower prison terms. If a judge follows the proper sentencing procedure, her sentence is rarely reversed. Judges cannot generally modify a sentence once imposed. One narrow exception is contained in 18 U.S.C. § 3582(c)(2), which allows a judge to resentence when the Sentencing Commission, with congressional approval, has both amended a sentencing range to be lower and determined that the amendment should be applied retroactively. Under those circumstances, the judge may resentence after considering the factors set forth in Section 3553(a), if such a reduction is consistent with policy statements issued by the commission. Those policy statements, contained in USSG § 1B1.10(b), generally do not allow a judge to sentence to a term less than the minimum of the amended guideline range unless the sentencing court originally imposed a below-guideline sentence (in which case she may impose a term “comparably” below the amended sentence). 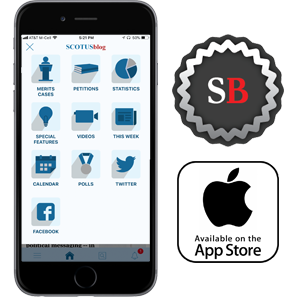 The Supreme Court made clear in Dillon v. United States that such sentencing modification cannot be used as a method for judges to apply Booker sentencing discretion to pre-Booker cases. The Sentencing Commission has retroactively amended the federal sentencing guidelines to reduce the base offense level for drug offenses three times over the past 10 years. The latest amendment, in 2014, retroactively reduced the base offense level for all drug offenses by two levels to ensure that the mandatory minimum sentence fell within the guideline range, so that guideline sentences were not higher than mandatory minimums. The commission projected that about 50,000 eligible offenders would enjoy an average sentence reduction of 25 months based upon this amendment. This brings us back to Chavez-Meza, who pled guilty in 2013 to conspiracy and possession with intent to distribute methamphetamine. The probation department determined that his guidelines range was 135 to 168 months. In sentencing Chavez-Meza to the guidelines minimum of 135 months, and rejecting a variance below the guideline range, the judge noted in open court that Chavez-Meza sold 1.75 kilograms of methamphetamine, a large quantity of a drug that “destroys communities.” In 2015, Chavez-Meza filed a pro-se motion under Section 3582(c)(2) asking the district court to modify his sentence. The government and court-appointed counsel agreed that the new guideline range, after the 2014 amendment, was 108–135 months. The probation office submitted a sealed memorandum noting that Chavez-Meza had been disciplined in prison for using another inmate’s phone number, and had also completed a drug abuse program and various education courses. The judge, as is almost always true with such modifications, did not hold a hearing. He did issue an order on a standard two-page form, called an “AO-247,” reducing Chavez-Meza’s sentence to 114 months. In the opening paragraph of the form, the judge checked a box indicating that he took into account “the policy statement set forth at USSG § 1B1.10 and the sentencing factors set forth in 18 U.S.C. § 3553(a).” On page two of the same form, which is sealed, the judge provided both the previous and amended total offense levels, and checked a box indicating where the sentence fell relative to the amended guidelines range. The judge did not provide any further explanation for his decision to reduce Chavez-Meza’s sentence to the middle rather than the bottom of the amended range. Before the Supreme Court, Chavez-Meza argues first that he is entitled to a “proportional” sentencing reduction to 108 months. Because his original sentence was at the bottom of the guideline range, his modified sentence should be at the bottom of the amended range. Second, he suggests that the 10th Circuit had to “speculate” about which factors the judge considered in modifying the sentence to six months over the “proportional” sentence, and how he weighed those factors. The Department of Justice, on the other hand, argues that a Section 3582(c)(2) sentence reduction is not “a plenary resentencing proceeding” but is instead a “congressional act of lenity.” Especially when a sentence is within the guideline range, a petitioner requesting a sentence modification is entitled only to the court’s consideration, which Chavez-Meza clearly received. Amicus briefs filed in support of Chavez-Meza argue that the commission expected that most petitioners would receive “full” reductions, and a more detailed explanation is required not just to ensure the appellate review necessary to eliminate unwarranted disparity but for the commissioners to continue their critical task of constantly improving the guidelines. One issue that might arise at oral argument, though not raised by either party, is that Chavez-Meza’s new sentence is below the mandatory-minimum 120 months applicable to his offense. My research quickly concluded that virtually no circuit permits Section 3582(c)(2) to be used as a vehicle to reduce a sentence below a statutory mandatory minimum. We cannot be certain how Chavez-Meza’s original sentence was calculated, because the relevant records are all non-public documents. They are included in the parties’ joint appendix filed with the Supreme Court but sealed from public view. My own rough guideline calculation yields a base offense level of 38, minus 3 points for acceptance of responsibility, for a total level of 35. An offense level of 35 coupled with a criminal history category I results in a 168-210 month sentencing range. To reach a base offense level of 33, and a significantly lower 135–168-month range, Chavez-Meza must have received an additional two-point reduction. Only a “safety valve” or “substantial assistance to the government” reduction could remove the otherwise applicable mandatory minimum and explain the modified sentence. It appears that Chavez-Meza has already received a significant break from this judge, which could explain the mid-guideline modification. I predict that whatever the Supreme Court does in this case will have little effect beyond amending future sentencing modification forms. 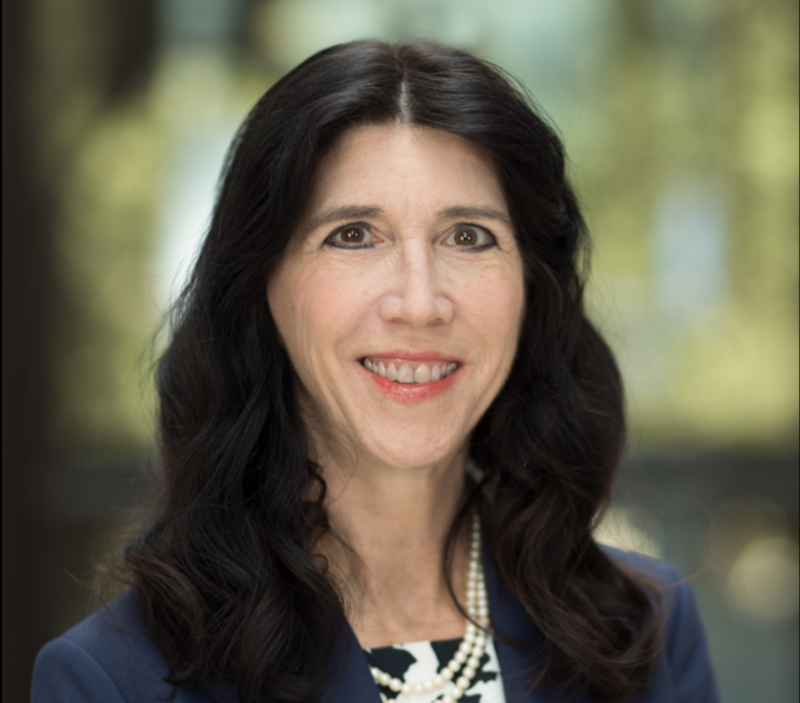 A reversal would likely result in little more than a “ritualistic incantation” by the judge that she considered a specific Section 3553(a) factor, or that she considered a specific policy statement issued by the sentencing commission. So, for example, on remand in Chavez-Meza’s case, the judge would check a box on a modified form providing the pre-typed statement that “this sentence is necessary to reflect the seriousness of the offense, pursuant to § 3553(a)(2)(A),” or that “this sentence is imposed because of petitioners’ post sentencing misconduct, pursuant to USSG § 1B1.10, Application Note 1B(iii),” to ensure a future affirmance. A reversal in this case could be significant only if the Supreme Court determines that form orders are insufficient, and boldly mandates that a sentence-modification judge hold a hearing in which she states her reasons in full on the transcribed record, or that she writes an opinion that not only identifies the relevant statutory factor or guideline policy but also explains why she considers that factor or policy important. Would such additional process improve federal sentencing in any discernible way? I remain skeptical. Appellate review of original sentences is currently not robust because a judge can justify essentially any statutorily authorized sentence under the myriad of factors available to her under Section 3553(a), not because the appellate panel doesn’t have a full enough explanation for the underlying sentence. And requiring what could potentially be thousands of additional federal hearings or opinions per year would both consume limited judicial resources and potentially dissuade the Sentencing Commission from retroactive sentencing reductions. If history is any guide, anyone who wants prison sentences to continue to decrease overall should advocate for more judicial discretion at sentencing hearings, not less.